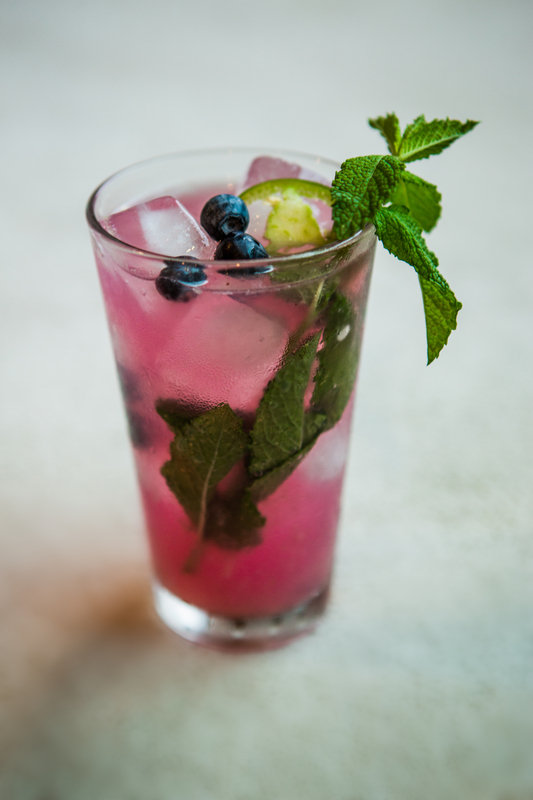 Muddle the jalapeño, blueberries, mint, and sugar together in a cocktail shaker. Add the rum, shake well and pour into 2 glasses filled with ice. Top with club soda and garnish with mint sprig, blueberries or jalapeños.